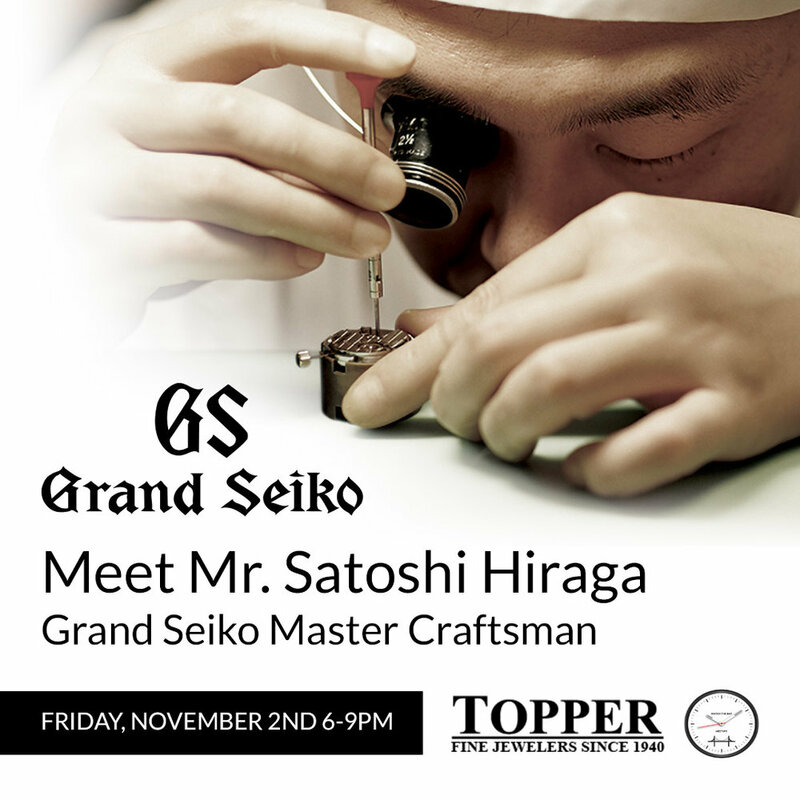 We are incredibly excited to announce the return of Grand Seiko Master Craftsman Satoshi Hiraga to Topper Fine Jewelers on Friday, November 2nd from 6-9 PM. As we continue to host our Topper x Watch The Bay events for both new and existing attendees, we are thrilled to be able to host events that focus on all different aspects of the hobby. Unlike the Grand Master Craftsman we've hosted in the store — who worked on Spring Drive models like the famous SBGA211 Snowflake and the recently announced USA-exclusive "Kira-zuri" SBGA387 — Mr. Hiraga's specialty is working on automatic calibers. And when he visits Topper, he'll perform a live, complex, assembly and disassembly of high beat movements; this will be projected up on the big screen so that everyone in attendance can see a true master at work. Come join us and enjoy the event and some Japanese whiskey, beer and sushi to as well! This meetup will require RSVP so follow this link to secure your spot ASAP!